Allianz Global Investors, an asset manager affiliate for Allianz SE, has named a four-member team to foster its $1.7 billion Emerging Markets Debt (EMD) business, through FX, volatility and macro hedge strategies. Emerging Markets (EM) was one of the fastest growing realms in a variety of asset classes in recent years, before lingering questions surrounding the impact of quantitative easing and rate cuts curtailed growth across the sector. However, EMD is still a rapidly growing and successful avenue for clients, with Allianz Global Investors bolstering its team with four new hires that will be based out of London. Naveen Kunam will join the group as a Senior Portfolio Manager and will be responsible for managing emerging markets rates and Forex strategies – Mr. Kunam brings previous experience from ING Investment Management. In addition, Shahzad Hasan is slated to serve as a Portfolio Manager with Global Investors having come over from Credit Suisse with a specialization in sovereign and volatility strategies. 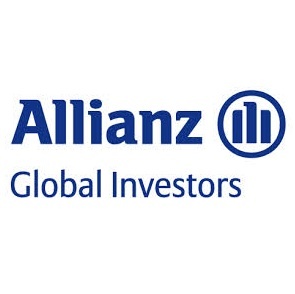 Vlad Andryushchenko was also tapped as Allianz’s newest Senior Research Analyst, given his tenure at Renaissance Capital in Moscow. His focus will entail global EM’s financial institutions, given his obvious penchant for capital markets. Rounding out the other hires is Eoghan McDonagh, the group’s newest senior trader. Mr. McDonagh has worked previously at Eclectica Asset Management, a global macro hedge fund specializing in several asset classes.